Have you ever had those morning where you sleep in and just don’t have enough time to do anything with your “washed a day or two ago” hair? Well here is the solution to your problem! 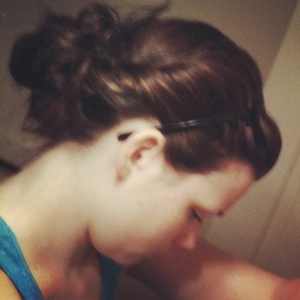 A quick and easy way to put your hair up without anyone knowing it wasn’t washed today! To get this look I simply put in my favorite headband to pull my bangs back. At the center top of the headband, I split my hair in two and twisted down into a low ponytail. 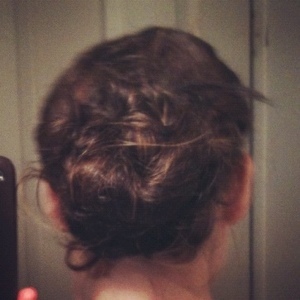 When I pulled the hair through the ponytail I tied it into a messy bun. Then lifted it up and pinned it up off my neck and pinned the fly aways. Hairspray and you are set!